Alongside color field painting and post-painterly abstraction, hard edge painting was introduced to the world of abstract art as a response to the gestural Abstract Expressionism. Aiming to go towards more precise aesthetics and clearly defined colors, the style was linked with a number of other artistic tendencies, and even entire movements. 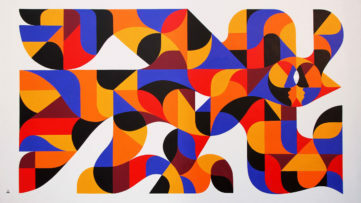 Although this type of art-making appears to be recurring throughout the history of the arts and in numerous cultures, it was given a proper name in 1959, when Los Angeles Times art critic Jules Langsner noticed its heavy reappearance in the abstract work of a group of Californian painters. In fact, hard edge painting is a term that came to describe a tendency applied in the artworks of different Modern and Contemporary artists across many movements. 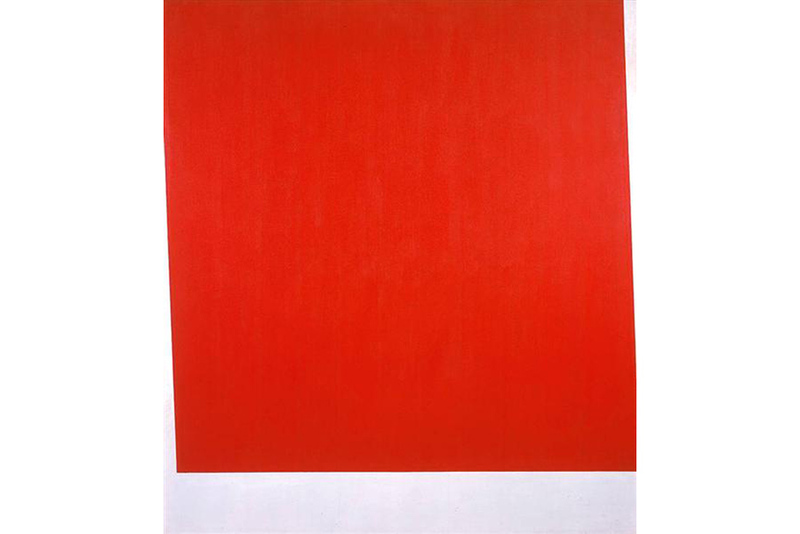 Below, take a look at the most famous examples of hard-edge painting in history. Colourfield, Minimal, Hard Edge and PostPainterly Abstract painting had a distinctly American (and New York) flavour to it, even if it was not produced in America or by US artists. In Bruce Glaser’s “Questions to Andre and Judd”, Donald Judd continually stressed the point that the new (Minimal) art was definitely American and non-European. Time and again Judd insisted that the new art was to trying to get away from the European tradition. ‘It suits me fine if that’s all down the drain’, Judd said. ‘I’m totally uninterested in European art and I think it’s over with.’ Many of the Colourfield and Sixties painters have made extremely brilliantly colourful works in the 1960s, then turned back to the sombre colours of grey and black in the late 1980s and 1990s. Fully illustrated, with notes and bibliography. The legendary Black Square and the star of the Suprematism movement, the artwork by Kazimir Malevich certainly represents one of the major examples of hard edge painting, even though it wasn’t created during the highlight years of the style. 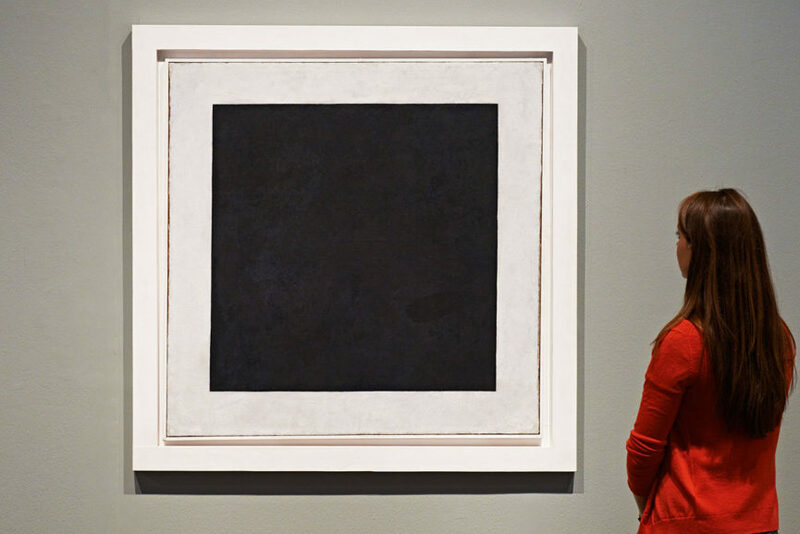 Perhaps still the most talked about painting in the world, Black Square was described as the “zero point of painting”, a piece that dismantled the technique and the meaning of art as we knew it. Its historical significance is highly relevant even today, and it was recently discovered it was painted over a more complex and colorful composition. 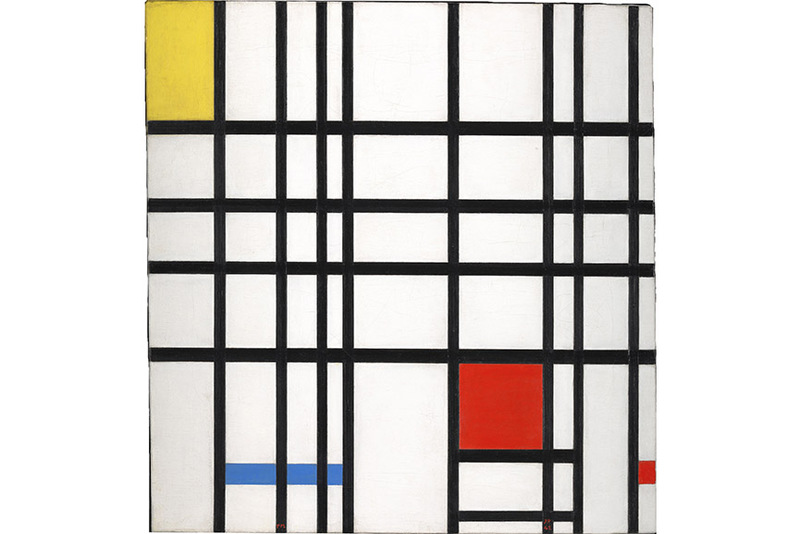 Eliminating curved line from his practice entirely, Piet Mondrian contributed to a new form of rigorous abstraction called Neo-Plasticism, also known as De Stijl. Without depicting a subject, the Dutch artist also limited himself to horizontal, vertical and above all straight lines, which would come to give boundaries to primary colors only. His globally famous compositions aimed to reflect a greater, universal truth beyond everyday appearance, and in a way they have influenced the practitioners of hard-edge painting as well – although the latter is a bit less strict. Together with the works of the hard-edge painters of the original group of seven, Karl Benjamin’s Black Pillars was also part of the traveling exhibition titled Birth of the Cool in 2008, organized by the Orange County Museum of Art. 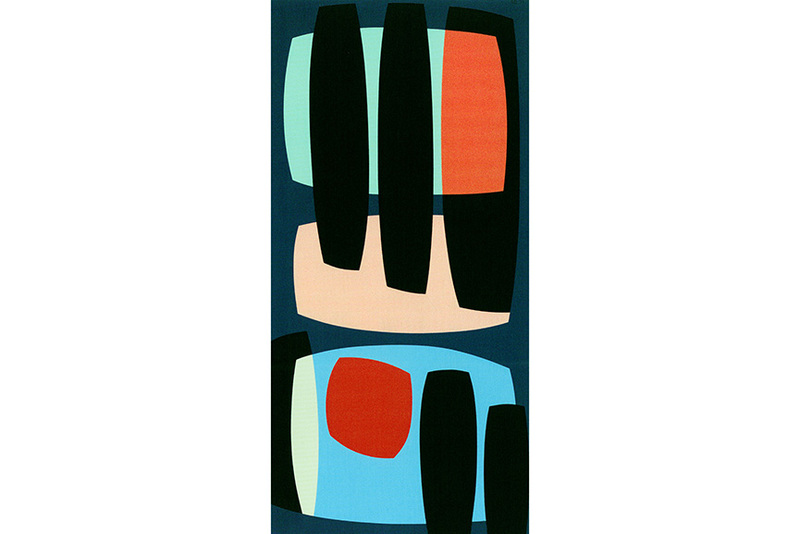 One of his signature artworks, it employs a curious color palette and unusual forms, although the uniformity of hues remains within what we’re used to. According to the critics, the artist was doing nothing more than playing with opposing colors and forms to create a visually engaging picture. The result surely is dynamic and quite outstanding. 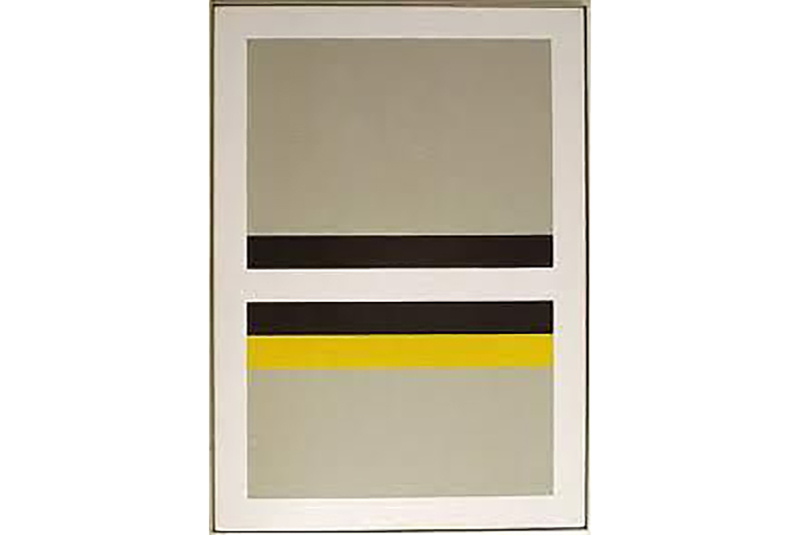 John McLaughlin’s Y-1957 is one of the earliest examples of hard-edge painting, created even before the term itself. He belonged to the California painters of the style, although he was perhaps the least famous of them. 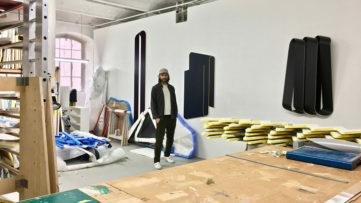 Yet, his control of color and composition was immediately recognized by curator Langsner, who exhibited his works at the first show dedicated to hard-edge works. 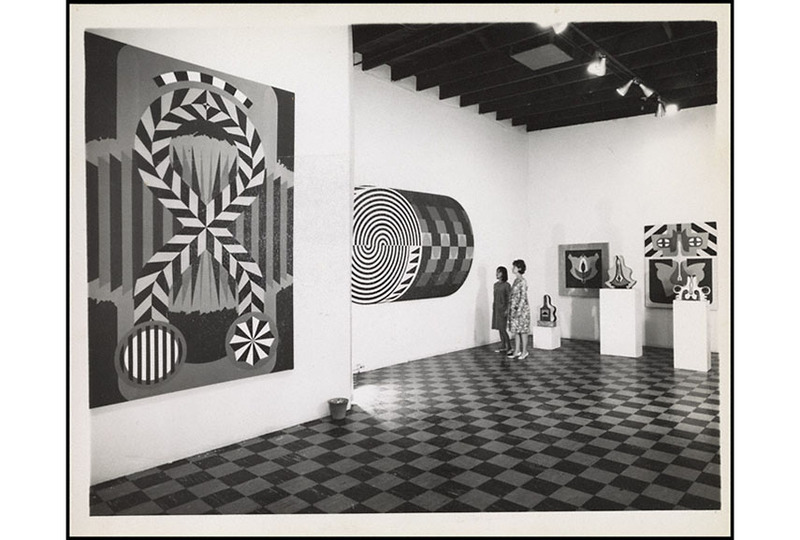 McLaughlin’s fascination with stripes and firm blocks of color continued afterwards as well. In an homage of a kind to one of the most famous New York avenues, Ellsworth Kelly tricks us for a second into thinking we’re looking at a Mark Rothko painting. Instead, it is a perfectly flat canvas covered in red, whose edges were cropped to imply perspective; the picture plane ends up suggesting flatness and three dimensions at the same time. Other works in the series in honor of the city are titled Wall after Wall Street and North River, another name for Hudson River. 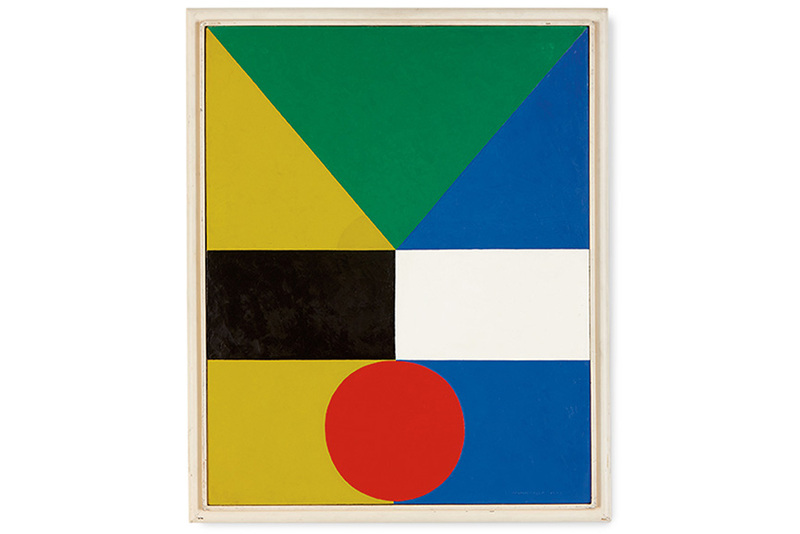 In Opposing #15 by Frederick Hammersley, while the geometric forms seems to be in balance, the colors seem almost random, and are mainly primaries. For many hard-edge paintings, the relationship betweek color didn’t matter, as long as they were individually rich and saturated, defined by clear lines and evoking flat surfaces. This artwork seems to be the perfect example of this theory. 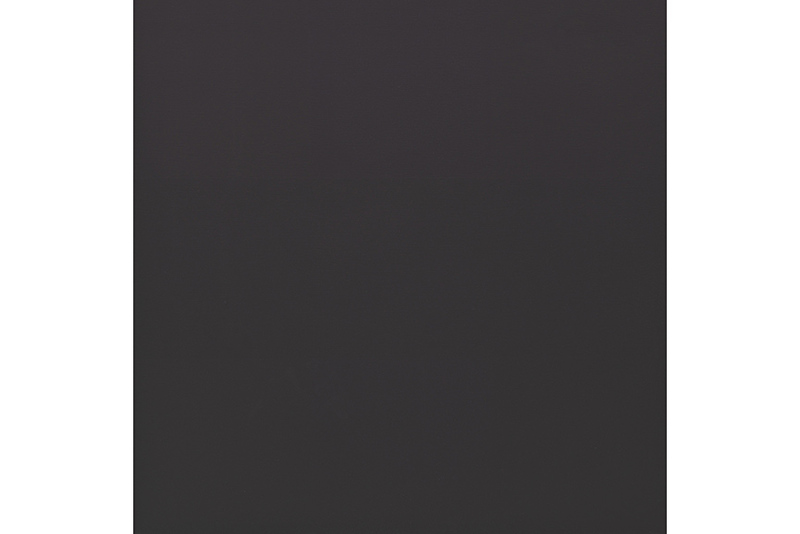 Between the years 1953 and 1967, Ad Reinhardt focused exclusively on his now signature black paintings, which could be described as quite inspired by the aforementioned Black Square by Malevich. What the artist wanted to achieve is, in his own words, ” a free, unmanipulated, unmanipulatable, useless, unmarketable, irreducible, unphotographable, unreproducible, inexplicable icon”. Needless to say that he certainly succeeded, making us question our own perception. 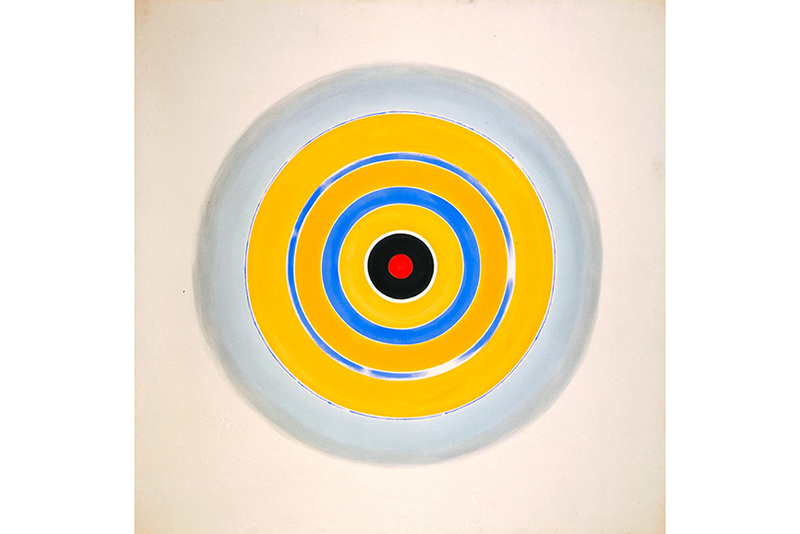 Between 1958 and 1962, post-painterly abstraction artist Kenneth Noland executed a series of target paintings, characterized by their round shape and incisive colors. Through these works, Noland sought the effect of rotation, giving the work a sense of three-dimensionality as well, with a slight blur of the outer frame circle. Instead of intensifying the feelings, he chose to evoke visual impact of the piece, which he successfully managed. Coming from a man who gave life to simple paintings of black stripes separated by other strips of unpainted areas came the 1967 Harran II, which takes its name from the ancient city in Asia Minor. 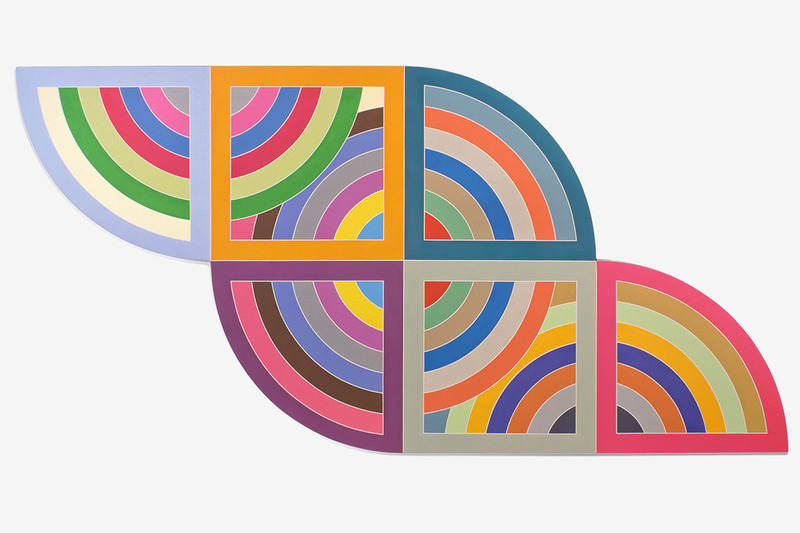 This Frank Stella artwork is a geometric wonder, defined by circular and curvilinear shapes and pairs of horizontal and vertical lines that intersect at the right angles, filled with almost psychedelic color. What this piece represents is a unity between abstraction and decorative pattern painting which shook the concepts of both traditions. He was inspired by hard-edge painting to the point where he experimented and re-interpreted it within three-dimensional space. Robert Irwin and his 1969 Untitled piece from the disc series, play with perspective and light using the ideas of hard-edge, post-painterly abstraction and even color field painting, giving us an opportunity to interact with shapes, lines and form of the artwork itself in a brand new way. 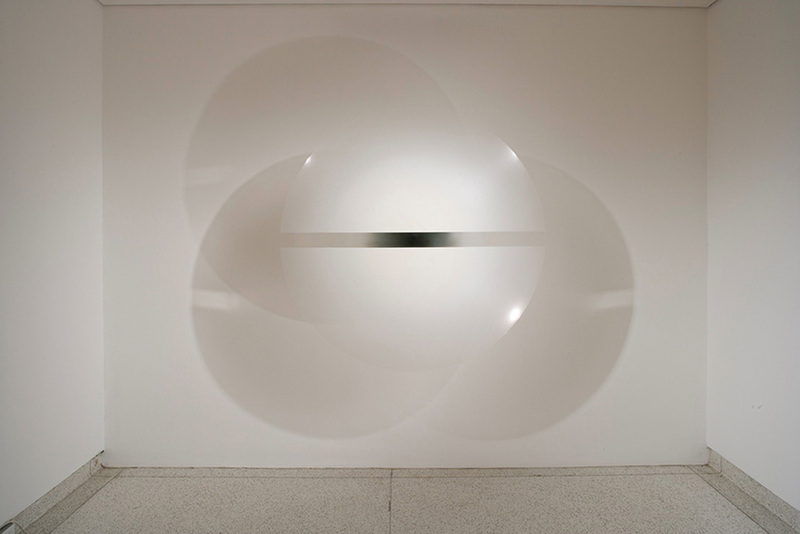 Featured image: Robert Irwin – Untitled, 1969. Image via highlike.org. All images used for illustrative purposes only.